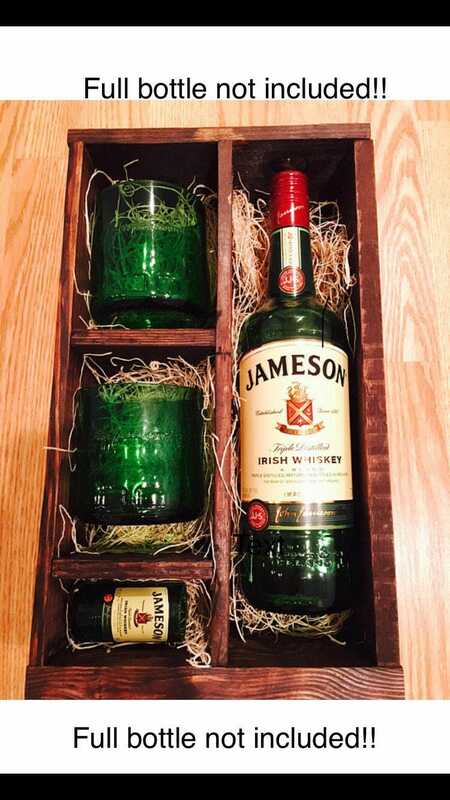 Jameson Whiskey gift sets include (2) rocks glasses (made from empty Jameson bottles), (1) shot glass (made from 50ml Jameson bottle), room for a Jameson Whiskey 750ml bottle. 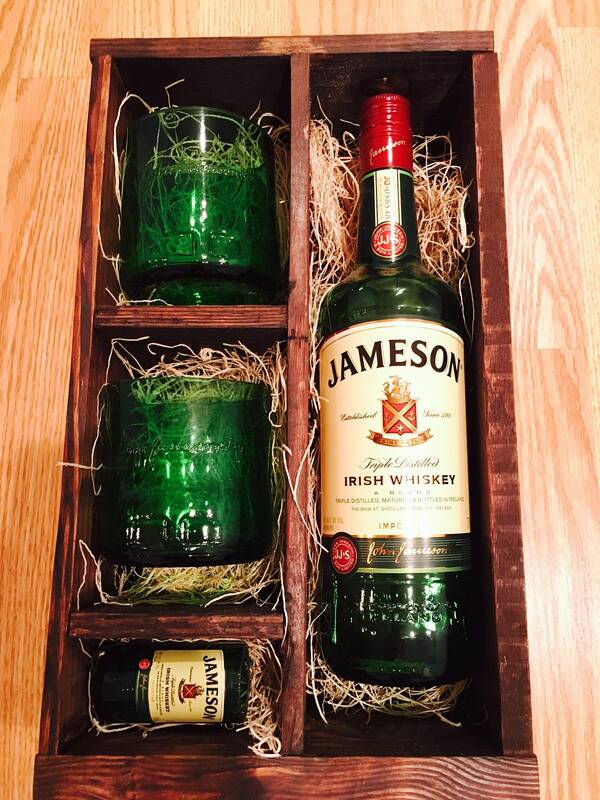 A full bottle of Jameson IS NOT included with this gift set. The bottle is meant to showcase room for a bottle that you would need to purchase.